Myanmar also known as Burma has a population around 54 million people with the metropolitan population over 7 million people residing in the largest city and former capital – Yangon. On the map, Myanmar borders India and Bangladesh in the west, Thailand and Laos in the east and China in the north and northeast. The national language is Burmese which originates from the country’s old name – "Union of Burma" which was changed to the "Union of Myanmar" in 1989, and later to the "Republic of the Union of Myanmar". However, you can still see a wooden carriage pulled by a horse, people working in the fields manually, without any machines; even in large cities women and men still wear traditional clothes and apply thanaka on their faces; and the capital is moved to another city on the advice of astrologers. ☀️ When to go? 🍲 Where to eat to help avoid getting sick? Luckily, the process is super easy – you can apply for e-Visa available to travelers from these 100 countries. Go to the official e-Visa website, fill in the information, upload a passport photo and pay a fee of $50. No special documents and confirmations are required and it takes under 10 minutes to apply. Print out your e-Visa letter, show it at the airport when you arrive and get your passport stamped. The e-Visa letter is valid for 90 days from the date of issue and allows you a 28-day stay in Myanmar. In Myanmar, there are three tourist seasons – high, midseason and low. The high season: From November to February, when the majority of tourists arrive in the country, and the weather is the best – it's dry and the air is not stifling. In the cities in the north it is pretty cool at night, so grab some warm clothes if you are going there. Book hotels and transport in advance, because there are a lot of people and places sell out quickly. Low season: From May to September. Due to monsoons many roads are flooded and impassable. There are very few tourists, the prices are low. Midseason: From March to April when the temperature rises considerably before the monsoon season. From October to November. In Yangon, Mandalay and Bagan it is very hot, but in the cities in the north, it is still pleasantly cool. The weather is still soggy, so expect some rains. 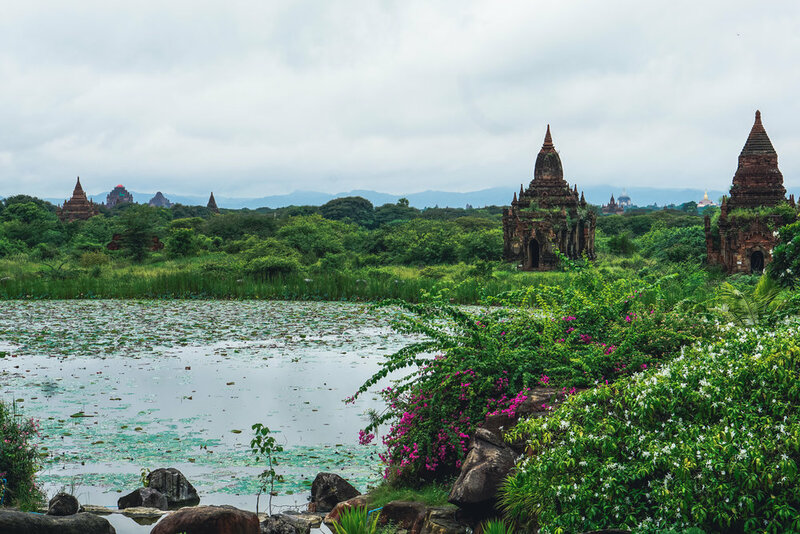 We chose to visit Myanmar in October and the pros were: the absolute lack of crowds, lower prices and incredible hotel deals, lush flora; cons: rains and no balloon rides over Bagan due to them. How to get to and around Myanmar? Before you could reach Myanmar only by plane but in 2013 the country opened their land borders with Thailand, China and India so there are much more options right now. There are 4 international airports and air travel remains the most convenient way to get into the country, especially that the e-Visa letter is valid only in particular entry points. As long as you want to visit the most touristy places in Myanmar, you will find the transportation system to be developed pretty well. You can travel around the country by plane, train, bus and even by boat. Even though there are 25 domestic airports besides for the international ones, flying is quite expensive, yet time-saving. The railway infrastructure is old and has not been repaired for a long time, trains are often late and their condition leaves much to be desired. Buses are the most convenient and inexpensive transport to move around the country as they run frequently and in different directions. Some of them include a pick up at your hotel and respectively they will drop you off at the hotel at the next city. There is A.C. working perfectly on every bus; blankets and bottled water will be provided to you too, however, no buses have toilets on board, even VIP ones. There are various stopping points with cafes and decent toilets, although the further it goes from the touristy place, the worse it becomes. Night buses are not sleeper buses and they usually arrive at 3-5am in the morning. The local currency is kyat which is for some reason pronounced ‘chat’. The current exchange rate is 1585 per $1 for new bills and is a bit lower for old ones. Make sure to take $100 or $50 bills for exchanging to kyat (larger denominations get a better rate). Notes must be pristine, without any watermarks. ATMs are located all around the country with the biggest concentration in large cities and major touristic points. The withdrawal fee is usually K5000 with a withdrawal limit of K300,000 per transaction. It’s better to withdraw or exchange money before going off the beaten path, moreover, cards are accepted in very few places. The US dollar is a second currency used in Myanmar, and some people even prefer that you pay them in dollars. *NOTE: THIS IS FOR SOMEONE WHO IS LIVING COMFORTABLY. THIS CAN BE DONE CHEAPER IF YOU CUT OUT LUXURIES OF ALCOHOL, COFFEE, AND DO A DORM INSTEAD OF PRIVATE. As of October 2018, budget accommodation in Myanmar ranges anywhere from $10 to $30 for a private room depending on the season, city, and how much in advance you have booked. For instance, we had a private room in Yangon for $17, Mandalay for $17, Inle lake for $8, and in Hpa-an for $20, Bagan $17. If you are a single traveler, a bed in a dorm would cost around $4-10. Consider booking in advance, as places sell out quickly, especially in Bagan. The hotels provide towels and most probably unlimited supply of bottled water. Consider booking accommodation through Agoda or Booking.com as they give the best deals for Asia. Always try to check both of them before you make your final decision as they sometimes are significantly lower than one another depending on promotions. 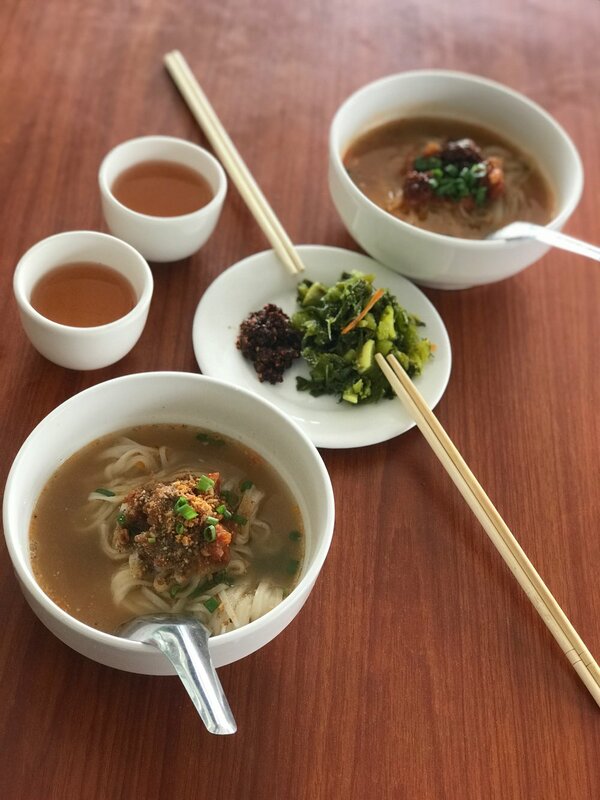 Food in Myanmar is generally the same as in all of Southeast Asia: rice and noodles are in the core of the diet, still with their own features. Due to the influence of neighboring countries, in addition to local cafes, you can find restaurants of Indian, Thai, Japanese, and European cuisines. The “sets” are quite popular here: each person is served with rice and a lot of small plates with curry, soups, spices, vegetables and other things which you mix together to your liking. If you order a soup, there is a 99% chance that it will be served with crushed nuts on the top. Also, the peanut oil is often used for cooking. If you have an allergy beware of that. “Myanmar” beer can be compared to Leo beer found in Thailand, as “Myanmar” beer is a subsidiary of Kirin, and Leo is a subsidiary of Singha. Both carrying the taste of an American style lager. Wine lovers will have a tough time in Myanmar, throughout our whole trip we found just a few places with good imported wine. 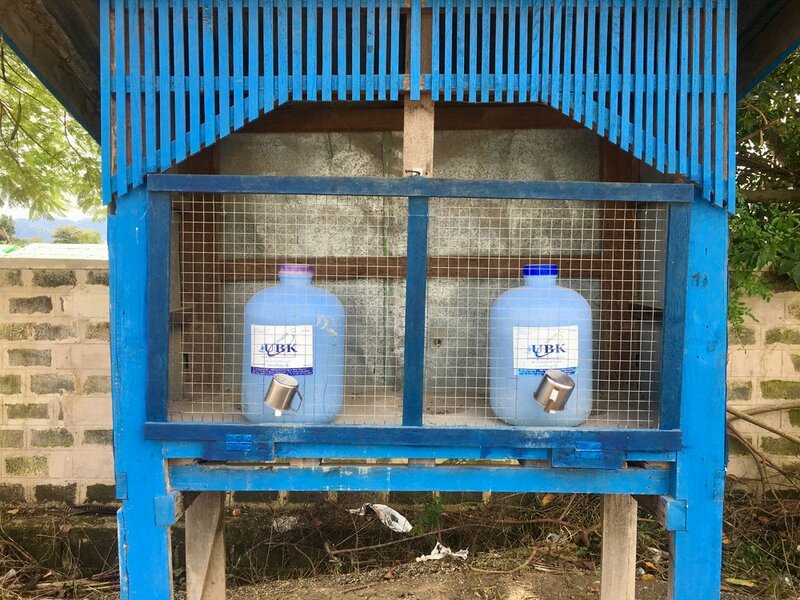 Water in Myanmar – we used tap water to brush our teeth while the drinking bottled water cost around $0.25 per bottle. There are a lot of places on the street where you can refill your bottle. There are water buckets in the streets and in the temples for public use. It is said that the water in them is disinfected by ozonation. Don’t drink from shared cups though. Where to eat in Myanmar to help avoid getting sick? eat hot food and preferable cooked in front of you. eat meat only in the morning (or in the early evening, if you are having dinner in the night markets, which only starts at 7pm). don’t eat food on skewers (there is information that these skewers are being collected, washed in the river, dried on asphalt and used again). do not eat food that is sold by the road (there is a lot of dust). you can eat in the markets – the food is the most fresh there. make sure that the water bottles are sealed. Some people collect empty bottles, fill them up again and sell them among new ones. Don’t overpack - if you need shirts, shorts, jeans, or shoes you can purchase them on the streets here. I found that compared to the rest of Southeast Asia the street sellers are much more willing to take the same price they charge the locals. No need to haggle here as they don’t overshoot the prices. Maps.me – very helpful office map, make sure to download Myanmar map before coming to the country, as with the internet here it will take forever. Foreigners are obliged to pay a $20 entry fee for Bagan, $10 for Inle Lake, and $10 Bago. Visiting temples requires to be dressed accordingly – knees and shoulders should be covered both for men and women. There is always a person in charge who checks if these requirements are fulfilled. Wifi in Myanmar is not very reliable so don’t put much hope in it, you might have to jump between different coffee shops to find a good connection. We bought a local sim card to get our work done. We chose Ooredoo Cellular Service that cost us K6500 for our sim card and 5gb of data. K5000 for the data and 1500 for the sim card and registration. We found that it works all around Myanmar with no problems whatsoever. The first thing you’ll come across on the street are people with painted faces, red teeth, and wearing skirts. Thanaka is a paste that Burmese people (mainly women, but men too) apply to their faces for cosmetic purposes. But how is thanaka made? Thank is made from the bark of sandalwood that is grinned on a special slate slab, the dust is then diluted with water and the mixture is applied to the face. Small branches of this tree can be seen on sale anywhere on the street. The main purpose of applying thanaka is to protect the skin from the harsh southern sun, also it softens and moisturizes the skin. In addition to purely practical goals, thanaka is applied just for beauty. In all Myanmar regions we have been to, local people were wearing traditional longyi. It is a piece of fabric that is tied around the waist and looks like a long skirt that both women and men wear longyi every day. Men tie longyi with a special knot in the front and tuck a mobile phone and a wallet on the back. When the knot loosens up, they simply remake it on the way. Long longyi can be easily turned into a short one, for example, when playing in chinlone. Arriving in Myanmar, you will probably question yourself what are the red stains on the roads. The answer is betel nut, which one can buy on any corner of the street. The whole concoction consists of betel nut, hydrated lime and other add-ons that vary with all the ingredients being rolled into betel leaf. Betel has a slight narcotic effect, and people develop addiction similar to alcohol or tobacco. The first couple minutes of chewing are followed by the process of abundant salivation, and the first saliva cannot be swallowed (as it is highly concentrated), so people spit it wherever possible. Spitting of the betel nut stains the roads and in the process ruins people’s teeth and turns the mouth red. If you hear somebody making kissing sounds in the cafe or in the street, don’t freak out – it’s not meant to insult you. And in the local culture it’s not considered to be rude. People make this sound in the cafe to get attention from the server, or you can hear it passing by a street food stall which is an attempt to attract customers. This is a traditional way for Burmese women to transport any kind of heavy things or goods. They put a flat circular roll of cloth on their heads for better stability of the transportable item. Nowadays you can see women carrying on their heads trays full of snacks or fruit. This game is played in a team and is not competitive. Players pass the cane-ball to one another in the circle using only legs and aiming to keep the ball from hitting the ground. When Myanmar was a British colony, people drove on the left side of the road, but when the military government was established, the driving changed to the right side. Now you can see cars with steering wheels both on the right and on the left. Another unusual fact from the history of Myanmar is that the capital used to be in Yangon, but it was moved to Naypyidaw in 2005. The exact time of transfer up to a minute was chosen on the advice of astrologers! Can you imagine a military government in any other country to consult with astrologers? It is a reality of 21st century Myanmar. We felt completely safe while traveling through Myanmar to the places where foreigners are allowed. In some areas, there are bursts of local conflicts, but such areas are either already closed to foreigners or get closed immediately when a conflict occurs. The dogs mind their own business and are not aggressive. Mosquitoes and other insects can be annoying, but here comes the mosquito repellent. Malaria is present in areas with altitudes <1,000 m (3,281 ft), including Bagan, so make sure to use the repellent for your own sake. 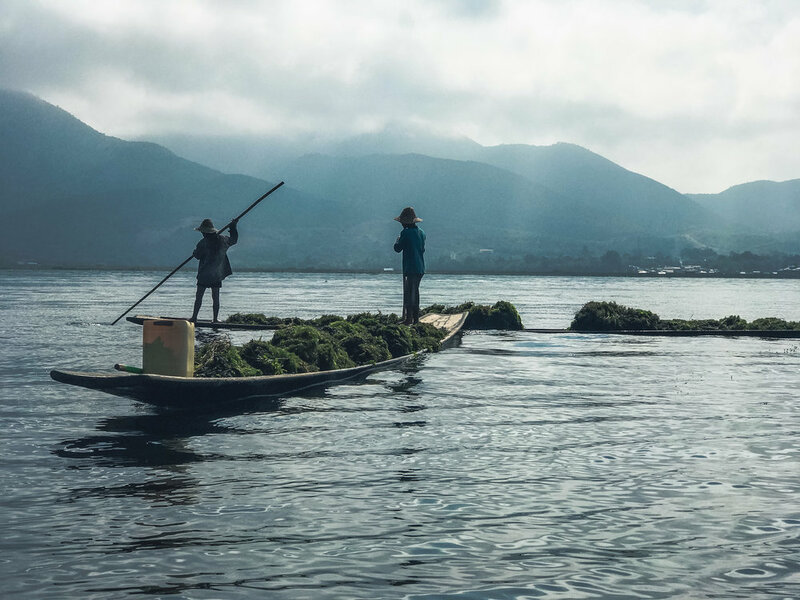 In Myanmar, you can find both Buddhist shrines and beautiful beaches, see rice fields and high mountains, fly on a balloon or explore a cave. Depending on your preferences, there is a huge variety of places to visit. Buddhism and religion: ancient pagodas in Bagan, Yangon with it’s Shwedagon pagoda, area around Mandalay, Mrauk U in the west of the country. 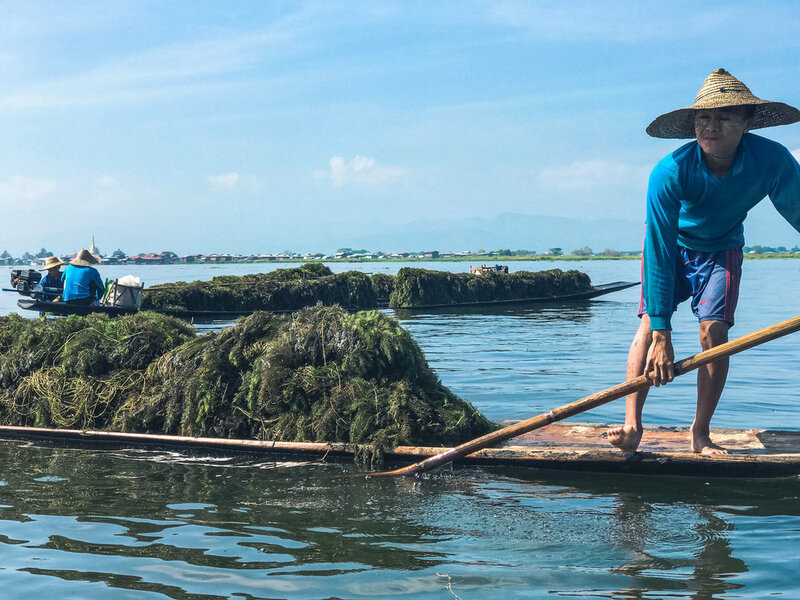 Activities: trekking in Hsipaw or Kalaw, boat trip on Inle Lake, cycling in Bagan, diving on the Mergui archipelago in the south, mountaineering in the foothills of the Himalayas in the north, and river cruises along the Irrawaddy. 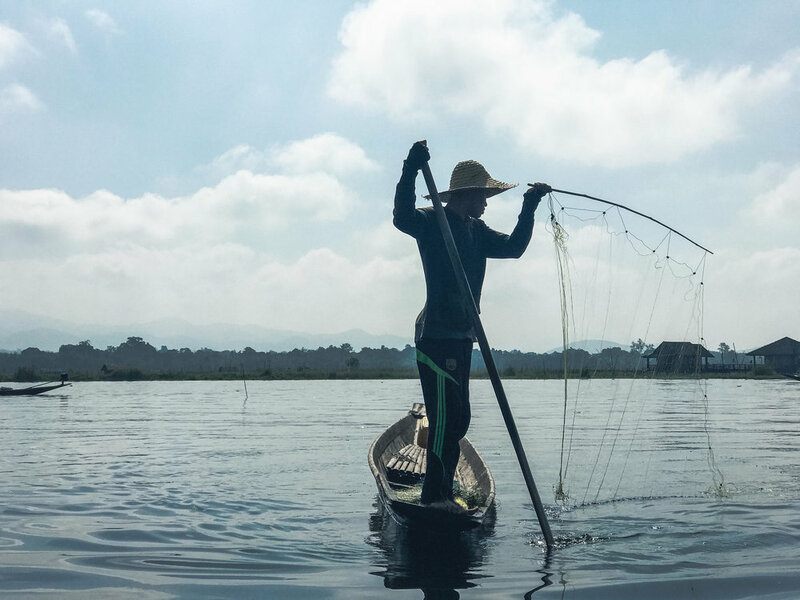 Culture: a variety of tribes around Inle Lake area and the town of Hsipaw.